Taking a relaxing weekend stroll along the quiet Changle Road taking in the tranquil scenery of red rooftops and yellow grey walls you can enjoy the peaceful scenery. 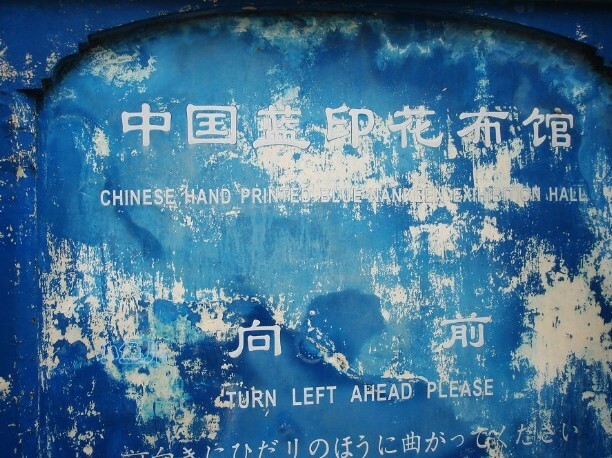 During the stroll you can stumble upon a sign at the side of the road with “Chinese Hand Printed Blue Nankeen Exhibition Hall,” following the sign you are led into a small alley and as you reach the end of the alley you think you’ve reached a dead end there is another sign that tells you to turn right, then you continue to turn..turn...turn and then you have reached a fascinating location where there is a courtyard in full bloom. What’s more eye catching in the garden is the beautiful Calico fabric hanging from the bamboo gracefully fluttering under the slight breeze and sunshine. On entering the small house situated right across the courtyard the first thing that grabs your attention has to be the blue and white world you’re entering! 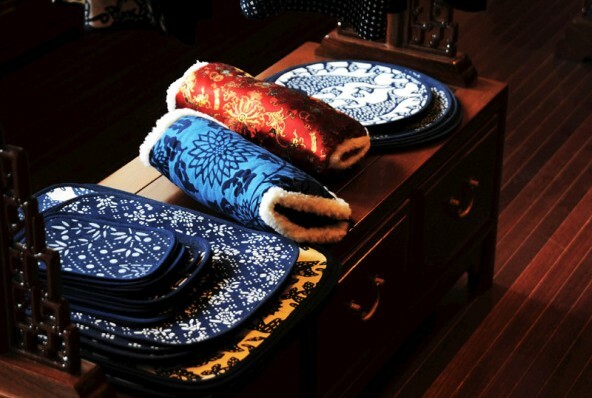 You find Qipaos, long skirts, bags, cushions, tablecloths and many more items! 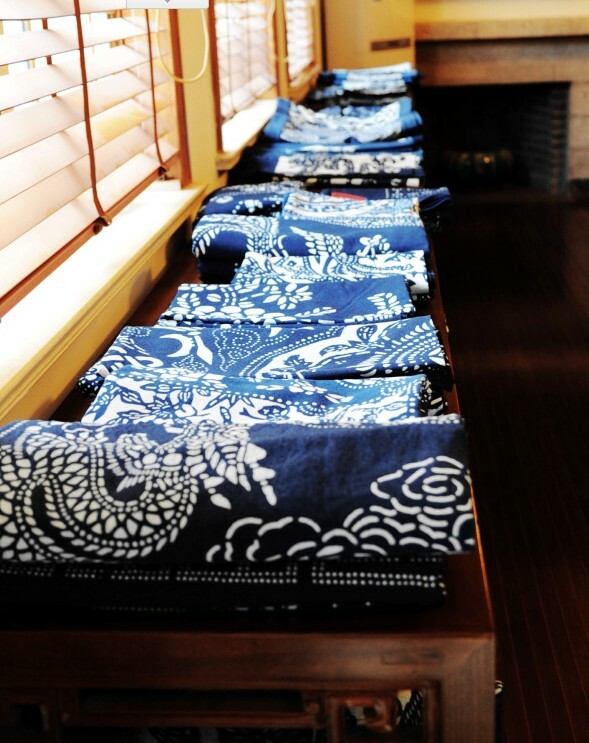 The possibilities are endless with the blue and white fabric. 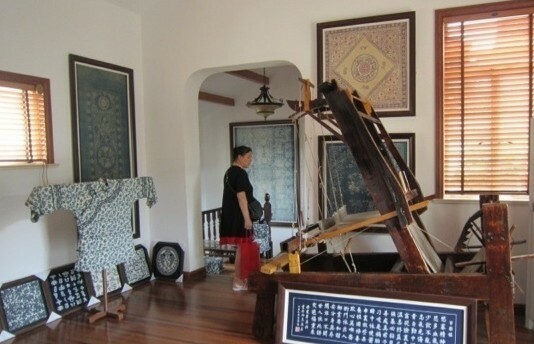 According to the shop assistant the blue Calico printed material has long been the common fabric for commoners in China for generations. 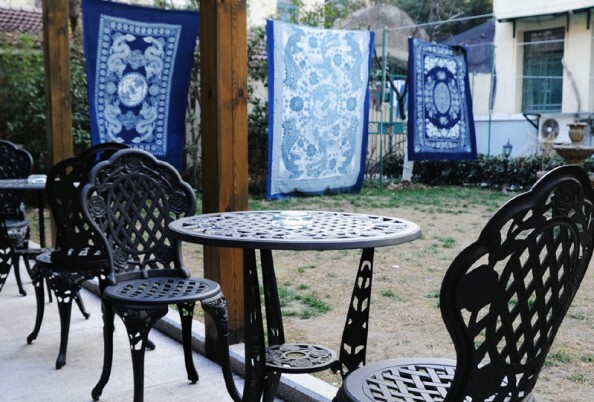 The traditional way of dyeing the fabric consists of several complicated procedures in order to create such beautifully patterned fabrics. Small items such as little bags and mobile covers are all under 100RMB, clothing ranging from summer to winter can range between from a few hundred to a few thousand Yuan. Apart from completed merchandise fabric with a wide choice of patterns can be purchased and you can try your hand at DIY, fabrics cost vary depending on the print and are sold by the meter.